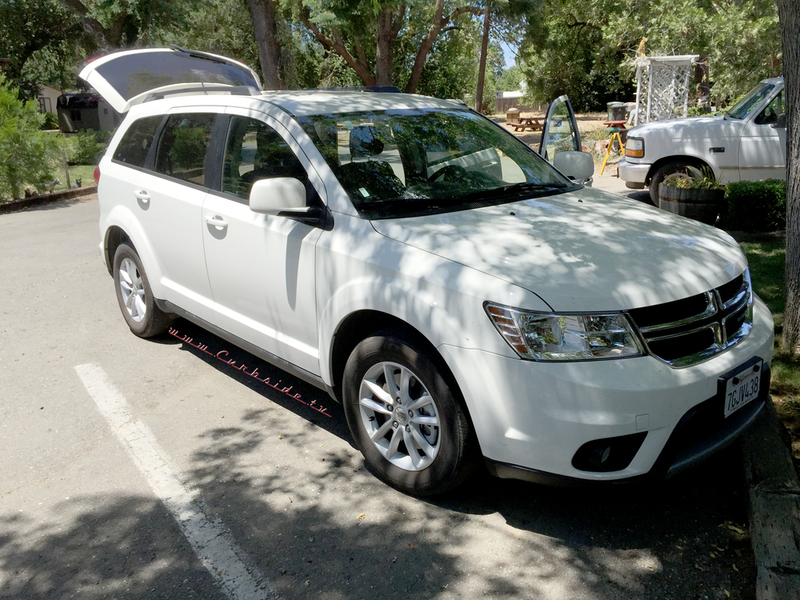 Recently I had the occasion to spend a week with the 2015 Dodge Journey SXT on a long drive from our headquarters in NoCal to a railroad destination in LowCal. In the early days of Curbside I would do weekly auto reviews of new cars and it was interesting to spend this time with Chrysler’s mid-size crossover SUV to see where the company is headed. The instrument panel of the 2015 Dodge Journey. The Journey is sort of a step between the little SUVs like the Toyota RAV4 and Honda CR-V and things like the Dodge Durango or Chevy Tahoe which love gasoline more than an oil sheik. The Journey for my journey was the mid-level SXT model but there is a version for just about every taste and budget. 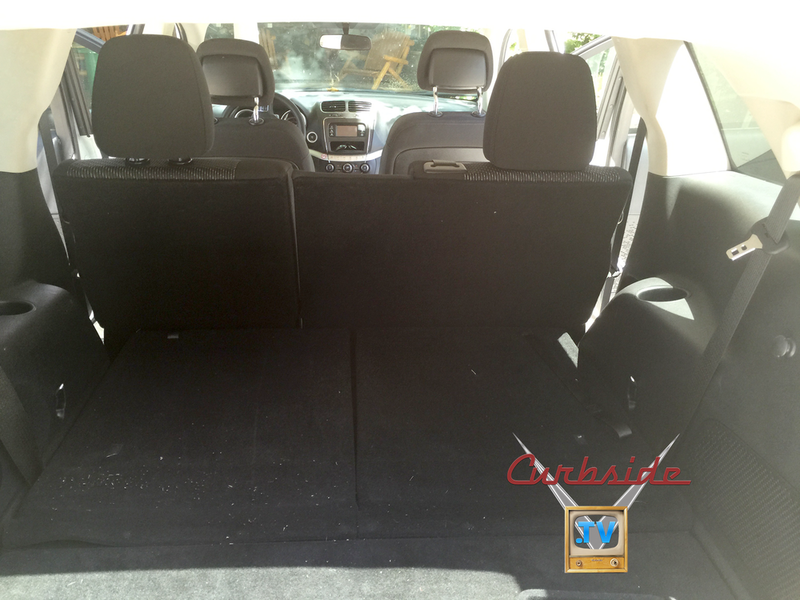 Chrysler is also seeing more sales go to crossovers and profitable minivan sales dip so it only makes sense that they have an entry in the field and that some of the big pluses from the minivan find their way into this vehicle. The 2015 Dodge Journey is available in five- and seven-passenger configurations. 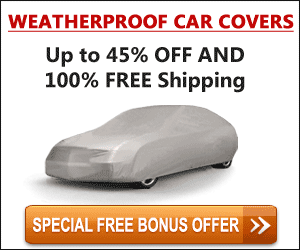 It is available in American Value Package (AVP), SE, SXT, Crossroad, Limited and R/T trim levels. The American Value Package comes standard with 17-inch steel wheels, heated mirrors, keyless ignition/entry, cruise control, dual-zone manual climate control, a height-adjustable driver seat, a tilt-and-telescoping steering wheel, a sliding and reclining second-row seat and a six-speaker sound system with a compact 4.3-inch touchscreen interface, a CD player, an auxiliary audio jack and an iPod/USB audio interface. The SE adds tinted glass, roof rails and LED taillights. Moving up to the SXT adds 17-inch alloy wheels, fog lamps, unique front/rear fascias, body-colored exterior mirrors, floor mats, a cargo cover and net and satellite radio. Moving up to the Crossroad gets you 19-inch wheels, chrome exterior accents, dual-zone automatic climate control, leather upholstery, a six-way power driver seat (with four-way lumbar adjustment), Bluetooth phone and audio connectivity, an 8.4-inch touchscreen audio display, an auto-dimming rearview mirror and a fold-flat front passenger seat with hidden storage bin. The Limited adds a V6 engine as standard, remote start, automatic headlights, heated front seats, a heated steering wheel and a 115-volt power outlet. The R/T includes all of the Limited features (minus the roof rails) and adds a monochrome exterior treatment, unique 19-inch wheels, a sport-tuned suspension, black perforated-leather upholstery with red stitching and a premium audio system. If you’re like me you will have skimmed right past all those paragraphs but there is information in there that’s relevant: you don’t get Bluetooth connectivity unless you move to the “Crossroads” trim level. Seriously? Sure, there is a USB and 1/8” audio input but that doesn’t allow you to make and receive telephone calls and, inevitably, someone’s going to call while you’re driving. Who in their right mind manufactures a vehicle in 2015 that doesn’t have Bluetooth connectivity at every trim level? Honestly I personally feel that Bluetooth connectivity is a safety feature and Dodge might as well not put brakes in their cars if they’re not going to offer Bluetooth as standard in every model at every trim level. There are other examples of this ineptitude. There were no grab handles anywhere inside the Journey. None. So several of the passengers that I carried had real difficulty getting in and out as the Journey is a bit of a step up in every way but class-leading features. 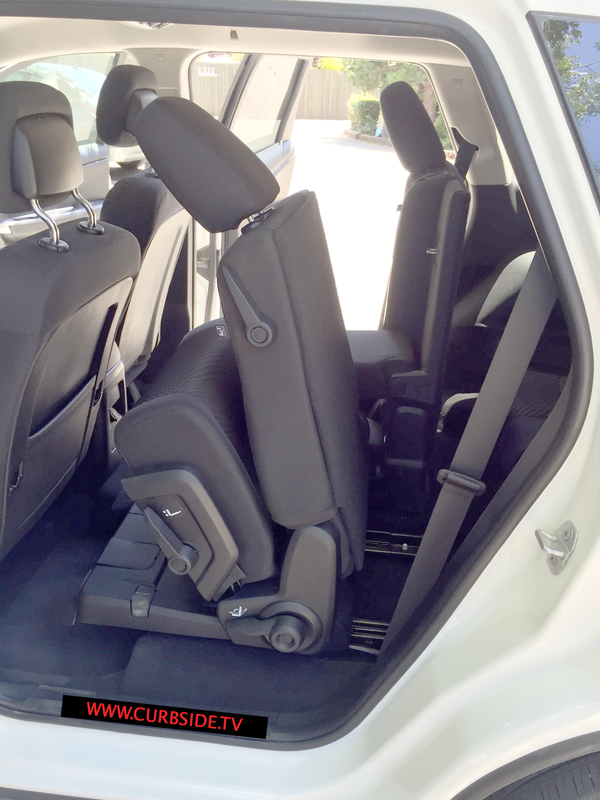 Every one of my passengers (we had five - this was a seven-passenger model) had difficulty buckling the seat belts. Another poor design. The little screen on the instrument panel was the only vehicle (rim shot) for adjusting the flow of the climate control so you had to take your eyes off the road to change air direction. Stupid. Really stupid. And the blinker stalk felt like it was out of a 1980s K-car. Seriously not graceful to use. Chrysler Corporation, er, FiatChrysler, has been criticized for poor interiors and the Journey certainly has aspects that fall into that category. It’s a shame, there are some real pluses in this vehicle and the negative items are so incredibly easy to correct with just a little bit of attention to detail. While I wouldn’t recommend the Journey to people I like, there were some features that I really did like. Chrysler’s “Pentastar” V6 delivers really good power and fuel economy. My drive was about 70% highway driving and the overall average fuel economy for my journey in my Journey was just under 28MPG - really good considering how peppy this vehicle is. 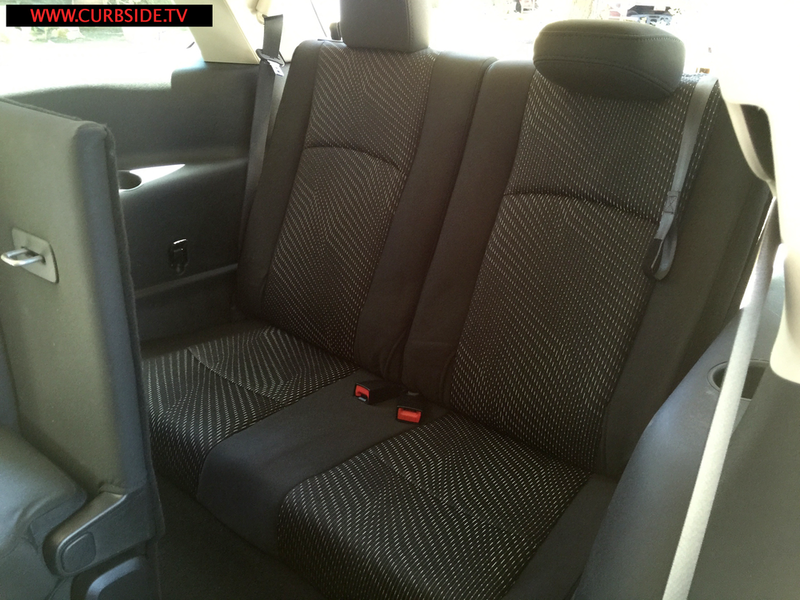 The seats up front are really comfortable and the long, long drive was made easier with a good driving position and comfortable ride. The steering wheel has remote controls for the stereo including volume and station controls behind the steering wheel which I’ve liked a lot since the first time I experienced them in Chrysler products years ago. This is a brilliant use of steering wheel real estate, but this came in the days when Bob Lutz was head of Chrysler design and the company actually seemed to give a darn about design. The second-row seats, too, are really adjustable and were complimented for spaciousness and comfort. 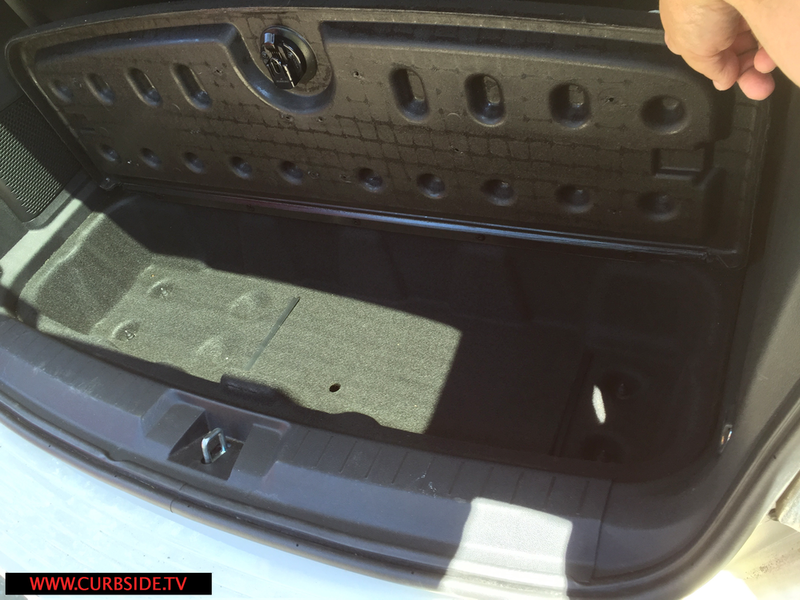 There are cool little compartments in the rear seat foot wells of the Journey as well as a covered compartment behind the third seat and a large center console compartment so your smaller items can be hidden away - a really nice touch. The third-row seats are smaller and are good for kids, mostly. But at least they’re available if you’re carrying lots of people now and then. There are also integrated seats for little kids available as well which is a nice touch as you wouldn’t have to fight a child seat if you needed one. I can’t recommend this vehicle. While the good things were good enough, the lack of Bluetooth in any car manufactured today is an epic failure. Honestly smart phones are so ubiquitous nowadays that this is really a safety failure and for Chrysler to not include it across the board demonstrates a lack of regard for reality. The other ergonomic goofs also show that bean counters have a higher priority at Chrysler than anyone who actually approaches Bob Lutz’ capability in design. The fact that you have to take your attention away from driving to adjust the air conditioner is just as dumb as it gets and, to me, is a giant safety issue. This vehicle uses a number of Chrysler’s minivan parts and is really sort of designed to appeal to people who might need the practicality of a minivan but want something they perceive as more cool.While Chrysler is the king of minivans still, they have a long way to go before people make a journey to a Dodge dealer for a class-leading vehicle that is equipped properly. Unfortunately the bad things aren’t so bad that a simple mid-model change couldn’t immediately solve them and then this would really be a great vehicle. Why are we still putting shift levers into vehicles? So this is a personal thing and not really related to the Journey much, but I don’t see the point of a gear shift lever any longer. That lever is simply an input device connected to sensors and could easily be a series of push buttons, a knob on the instrument panel, or anything else that doesn’t take up such a huge amount of space in the center console where cup or phone holders could be. Yeah, I know they have to be there but isn’t it time we all just stopped using a gear shift lever and just pushed “D” like you could do in the late 1950s?